The Belgian Army was stretched from Cadzand south to Menin on the river Leie, and west, from Menin, to Bruges without any sort of reserves. With the exception of a few RAF sorties, the air was exclusively German, and the Belgians reported attacks against all targets considered an objective, with resulting casualties. No natural obstacle remaining between the Belgians, the German Army or the sea. Retreat was impossible, as the Belgians had nowhere to go. 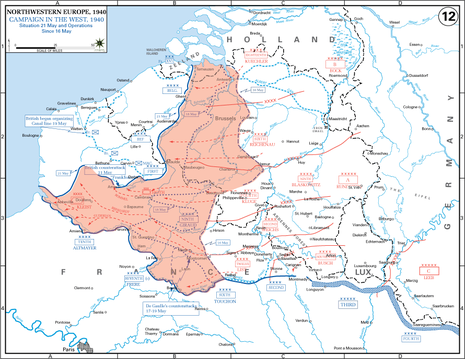 A retreat to Dunkirk was not possible, as the Luftwaffe has destroyed most of the rail networks capable of operations. Just three road axis were left: Bruges–Thourout–Dixmude, Bruges–Ghistelles–Nieuport, Bruges–Ostende–Nieuport. But such axis of retreat was impossible without losses owing to German air supremacy (as opposed to air superiority). The water supplies were damaged and cut off, gas supplies and electricity was also cut. Canals were drained and used as supply dumps for whatever ammunition and food stuffs were left. The total remaining area covered just 1,700 km², and compacted military and civilians, which numbered some 3,000,000 human beings. Under those circumstances Leopold deemed further resistance useless. 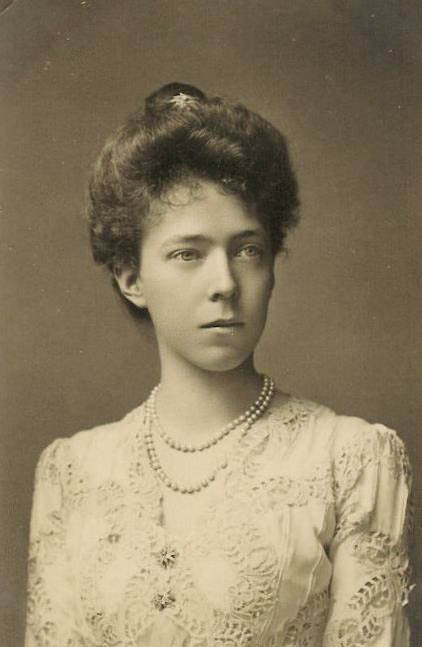 On the evening of 27 May, Leopold had requested an armistice. Belgian Embassy here assumes from King's decision to remain that he regards the war as lost and contemplates separate peace. It is in order to dissociate itself from this that the constitutional Belgian Government has reassembled on foreign soil. Even if present Belgian Army has to lay down its arms, there are 200,000 Belgians of military age in France, and greater resources than Belgium had in 1914 on which to fight back. By present decision the King is dividing the Nation and delivering it into Hitler's protection. Please convey these considerations to the King, and impress upon him the disastrous consequences to the Allies and to Belgium of his present choice. King Leopold without consulting the cabinent or the Allies surrendered the Belgian Army and capitulated to the Germans on May 28. The British on the same day began the evacuation at Dunkirk. [Rempel] King Leopold's actions were widely resented in Belgium. His surrender at a crucial point in the battle for the Low Countries left a critical gap in the Allied ring around Dunkirk and could have made the evacuation impossible. Inexplicably Hitler ordered the Panzzers stopped and the Germans had pressed their attack. There is considerable difference of opinion as to the circumstances surrounding the caotic course of events in late May. His actions as Commander and Chief of the Army during the German invasion of 1940 have been sharply criticized. 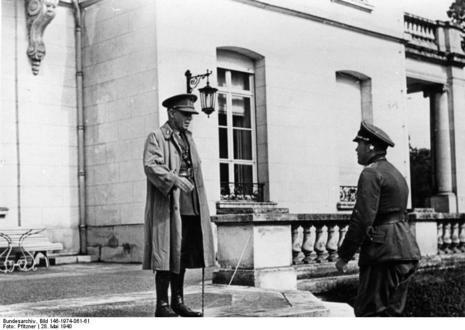 To many Belgians, Leopold's surrender to the NAZI's forces were in stark contrast to his father's gallant resistance to the Kaiser's Army during World War I. The King's surrender incurred the disapproval of many Belgians people and Parliament.